The beauty business is expanding at a phenomenal pace in India. A large number of leading worldwide brands are eyeing to enter the Indian market. 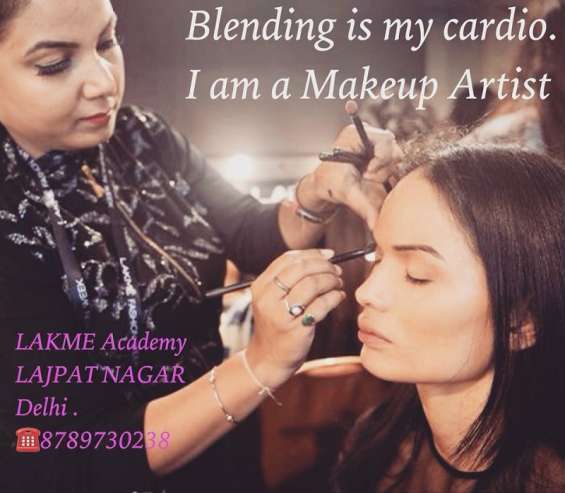 Join the makeup Artist /Hair Artist Cosmetology courses at Lakme academy LAJPAT NAGAR & become a specialized in just 6 months earning 3-4 lacs per annum with 100% placement support and obtain scholarships up to 35 %. Batch starting on 26th Feb. Only 10 Seats left. Take the Preliminary segment in the direction of your dream career & a successful life. Its time you capitalize, before it’s too late. A decision that will ensure you to be an international certified Expert with a stylish career. Looking for well known higher education consultants in delhi? call now!! Lakme Academy Lajpat Nagar offers a number of certifications for short term beauty courses. Many times, we have a situation to go out with friends or attend an unplanned event and we don’t get time to go for beautician.